In the summer of 1987, Johnny Boone set out to grow and harvest one of the greatest outdoor marijuana crops in modern times. 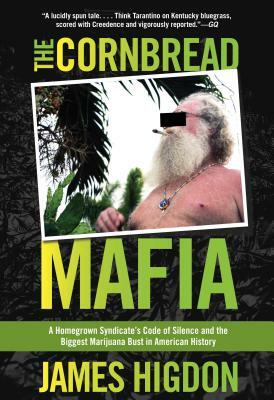 In doing so, he set into motion a series of events that defined him and his associates as the largest homegrown marijuana syndicate in American history, also known as the Cornbread Mafia. Author James Higdon--whose relationship with Johnny Boone, currently a federal fugitive, made him the first journalist subpoenaed under the Obama administration--takes readers back to the 1970s and '80s and the clash between federal and local law enforcement and a band of Kentucky farmers with moonshine and pride in their bloodlines. By 1989 the task force assigned to take down men like Johnny Boone had arrested sixty-nine men and one woman from busts on twenty-nine farms in ten states, and seized two hundred tons of pot. Of the seventy individuals arrested, zero talked. How it all went down is a tale of Mafia-style storylines emanating from the Bluegrass State, and populated by Vietnam veterans and weed-loving characters caught up in Tarantino-level violence and heart-breaking altruism. Accompanied by a soundtrack of rock-and-roll and rhythm-and-blues, this work of dogged investigative journalism and history is told by Higdon in action-packed, colorful and riveting detail.